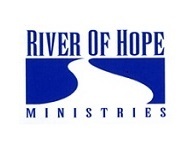 River of Hope Ministries | That you may know the hope of His calling. Thank you for visiting us at this Internet home for River of Hope Ministries. Here you will find out who we are as a ministry, as well as resources for those who are looking for hope in this crazy world we walk in. This includes those who walk with Him as well as those who haven’t yet met Him so that each may know the Hope of His Calling. It is my sincere desire to support and encourage you. If we can assist you in any way please email or call us. River of Hope Ministries is a charitable nonprofit 501(c)3 ministry available to the Body of Christ in the promotion of the Lordship of Jesus Christ. To the local church ROHM exists to bring hope for those who sit in the pews as well for those who stand behind the pulpit.